The iHip Universal Remote allows you to take complete control of your entertainment set-up! Instead of fumbling around for the remotes to your digital devices during the big game the iHip will tame your entertainment experience so you spend less time controlling and more time enjoying all that hard-hitting NFL action. 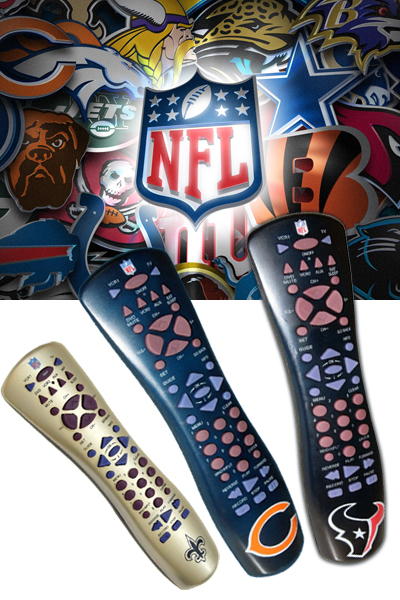 Each iHip remote is customized with a team-colored case and a printed team logo on the front so every time you reach for your remote you're making a big play for your team! 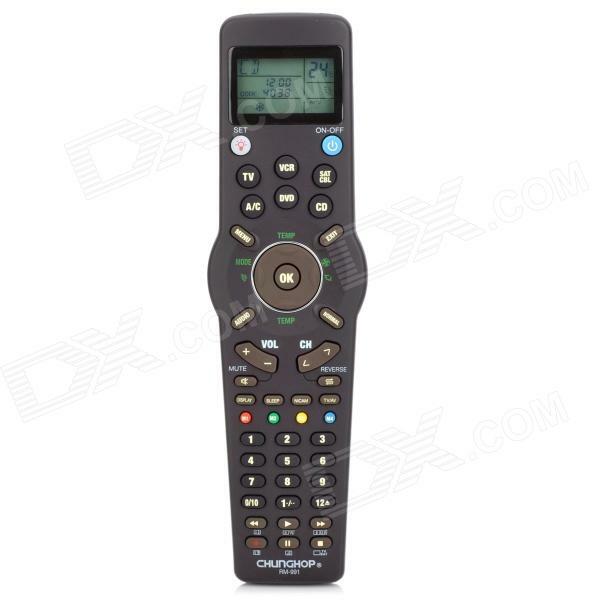 Each remote controls up to six devices- including; TVs VCRs DVD players CD players cable/satellite boxes and audio equipment; plus it'sÂ compatible with most infrared remote controlled equipment manufactured after 1990! Home Theater Keys - Take full advantage of your home theater equipment with Surround Sound Control.